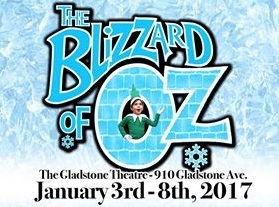 The family musical, The Blizzard of Oz will be playing at the Gladstone Theatre from January 3rd to 8th 2017. The heroine, Dottie, gets lost in a snowstorm and ends up in a strange land. Along the way she meets Bob Cat, Al Loy and The Faircrow. Lost in the big city, they get help from Glenda the Good while they try to stop Wanda the Wicked from taking over the Ruby Slipper Cafe. 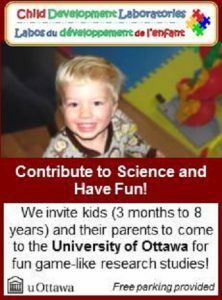 A twisted story full of music, dance, over the top characters, jokes for both the young and old, local Ottawa references and more. You will be over the rainbow while you laugh, tap your toes and boo the bad guy in this year’s all new family musical. 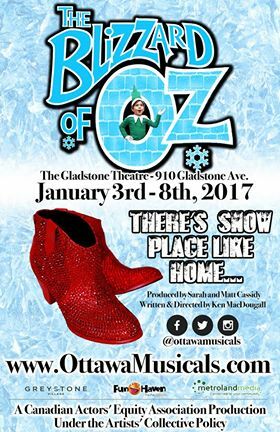 The Blizzard of Oz runs for ONE WEEK ONLY. 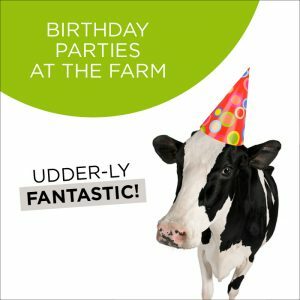 Once tickets are gone, they’re gone.